Fashion Maven... Mommy: Color Correcting 101 - What's All The Fuss About?! 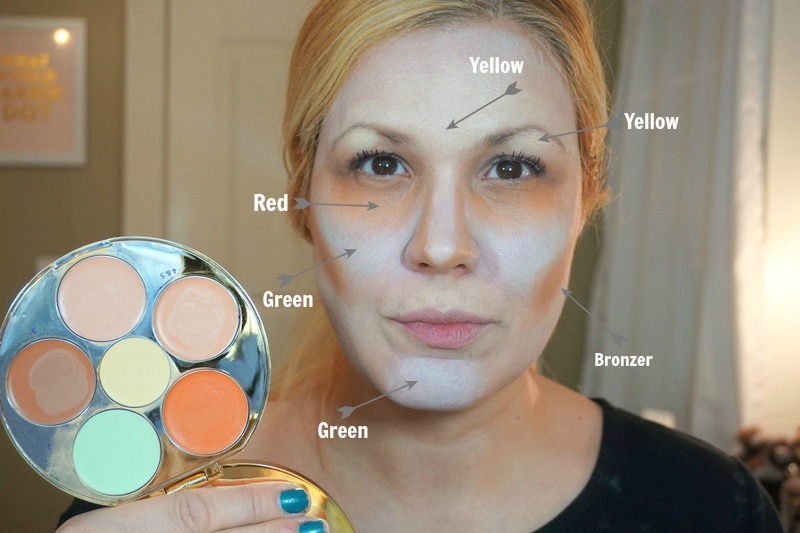 Color Correcting 101 - What's All The Fuss About?! It seems as though lately color correcting is all the rage. On a recent trip to Sephora, i decided to take a closer look at all that's happening in the color correcting department and whether i wanted in on it or not. 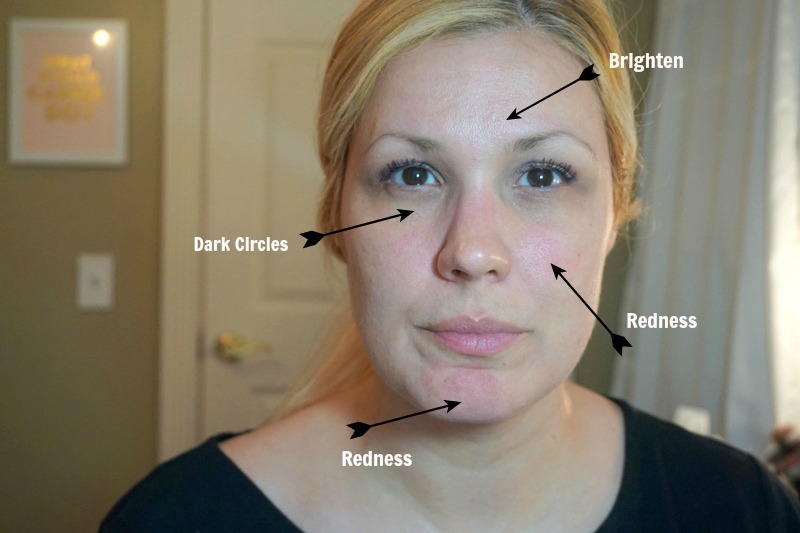 Truthfully i have a ton of redness in my skin and of course those dreadful dark under eye circles that we all despise. While there are many options to choose from, the Tarte Rainforest of the Sea Wipeout Color Correcting Palette really stood out from the bunch. I'm not gonna lie to you... it stood out to me for no other reason than the fact that it's soooo pretty! So yes, the gorgeous packaging did me in, even though i knew that it was missing the purple color correcting shade for dullness. After a few minutes of deep thought i figured this would still work for my personal skin issues and opted to give it a go. Orange: Counteracts darkness (great for under eyes for mediumto deep skintones). Warmth: Sculpts, contours and defines. Peach1: Camouflages light to medium skintones. Peach2: Camouflages medium to deep skintones. These universal shades work across skintones to offset the appearance of dark circles, redness, and acne while contouring and highlighting. Now lets put this palette to the challenge shall we? Note... included with this palette is a face diagram with where to apply these shades according to your needs. First, apply the orange shade under your eyes or where ever you feel you have darkness in your skin that you would like evened out. Then using the green shade, apply where ever you have redness... for me it's the apples of my cheeks, my nose and chin. The yellow shade is great for the forehead, brow bone, mustache line and down the center of my nose. Blend everything together with a brush or beautyblender. Next step, apply your foundation. You can then go over with the contouring tools in this palette to add a soft glow to the hollows of your cheeks, you can use the peach shades as concealer and of course the yellow to any areas you want to highlight. Overall, i think this palette is fun and certainly does the job. If you have a lot of skin concerns that you want corrected, it's a good palette to have on hand. However, it's an extra step in your makeup routine that is not necessary for your daily makeup needs. Personally, i think it's a great option to have for special nights out or when my skin is really acting up. However, using this everyday seems a bit much and really takes a big chunk of time from my morning routine. Do i recommend it? Absolutely if you feel that your skin could benefit from color correcting or if your foundation is just not cutting it. Just note that it will add a few extra minutes to your make up routine. No biggie i suppose for some... but noteworthy for those pressed for time every morning. Labels: color correcting tutorial, how to color correct, tarte rainforest of the sea wipeout color correcting palette review and how to use it. I keep seeing all of the colour correcting stuff everywhere. So I am glad you did a post on it! That set looks really wonderful - because it has a bit of everything. But I agree with you. I don't think this is something most people will use every single day. Maybe just for a night out!